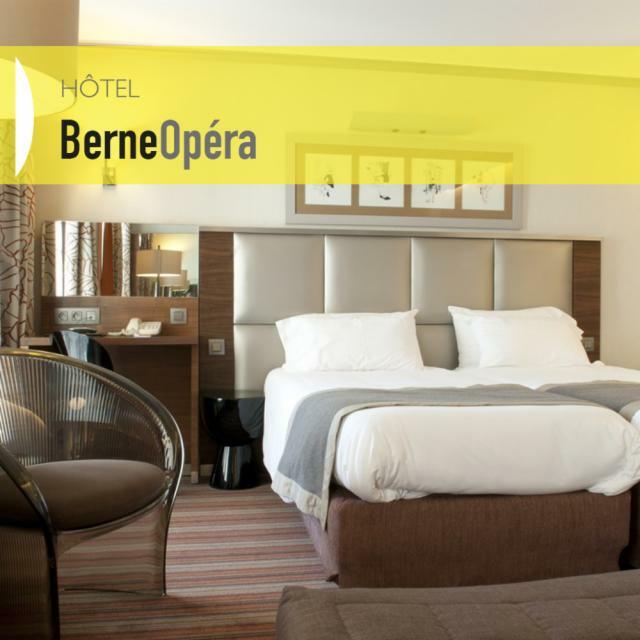 The Berne Opéra hotel is situated in a quiet street of the Quartier de l'Europe, as shown in the address and nearby streets, all with names of major cities in the Old Continent. Emerged in the middle of the 19th century, this elegant district is located at the crossing of the Batignolles district of Clichy square, the Nouvelle Athènes and the Grands Boulevards where the movement of population, the cultural effervescence and commercial fever intermingle. A location of choice to discover the picturesque and modern north and refined and welcoming west of Paris! 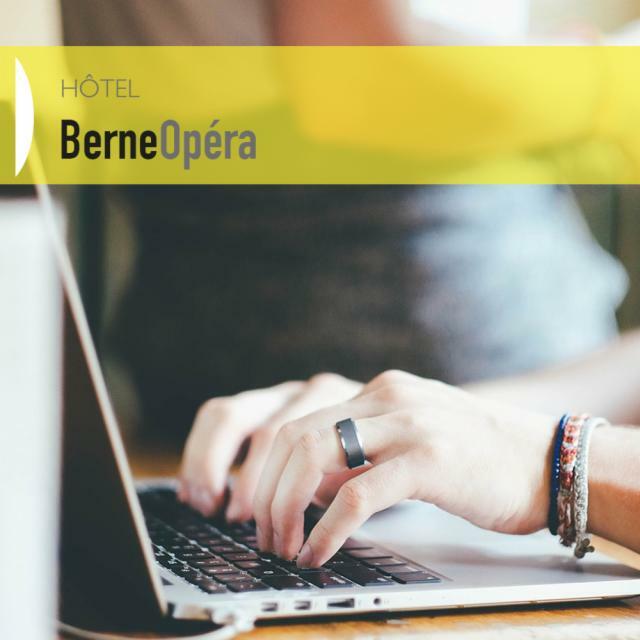 The Berne Opera hotel welcomes guests in pleasant and user-friendly common parts and of neutral tones with warm notes of green anise, blood orange, Indian pink and metallic sparkles. These colorful adornments take the shape of dynamic and harmonious straight and curved lines, evoking the railway lines from the station Saint-Lazare nearby. A discreet railway inspiration that is again testified in the rooms with their padded headboards that suggest the leather seats of the old compartments, and their graceful Parisian watercolors above, replacing the photos in black and white decorating these same compartments. Thus, the hotel decor subtly imply railways universe of codes, movement and other parties.